The industry average is made up of mostly groups and independent hotels with legacy data and technology-based thinking. These hotels tend to use premise-based technology, have invested less in technology solutions and generally have a lower value assigned to data. When it comes to the level of data sophistication among industry average hotels, they have the tools to only conduct basic data reporting. Given that these hotels are predominately still using on-premise legacy technologies with little integration, data silos are naturally created due to the tendency for systems to retain their data and causes difficulty in sending data from A to B with little hope of any type of data analysis. 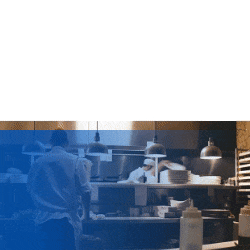 It's a well-known fact that hospitality organizations deal with many more systems besides PMS, including CRS, GDSs, OTAs, POS, and more. Hotels have data stockpiled in operational systems, secondary platforms like online travel agency partners, and tertiary platforms for functions like SaaS systems or messaging. Attempting to pull all of these different types of data into an actionable format that hoteliers can use is difficult, especially when some third parties produce data and are not inclined to easily share data. Furthermore, integration costs between operational systems, secondary platforms, and tertiary platforms still remain high and the industry suppliers still do not cooperate easily. Here at SnapShot, we’re evolving our data strategy to a data hub model to collect and harmonize data. 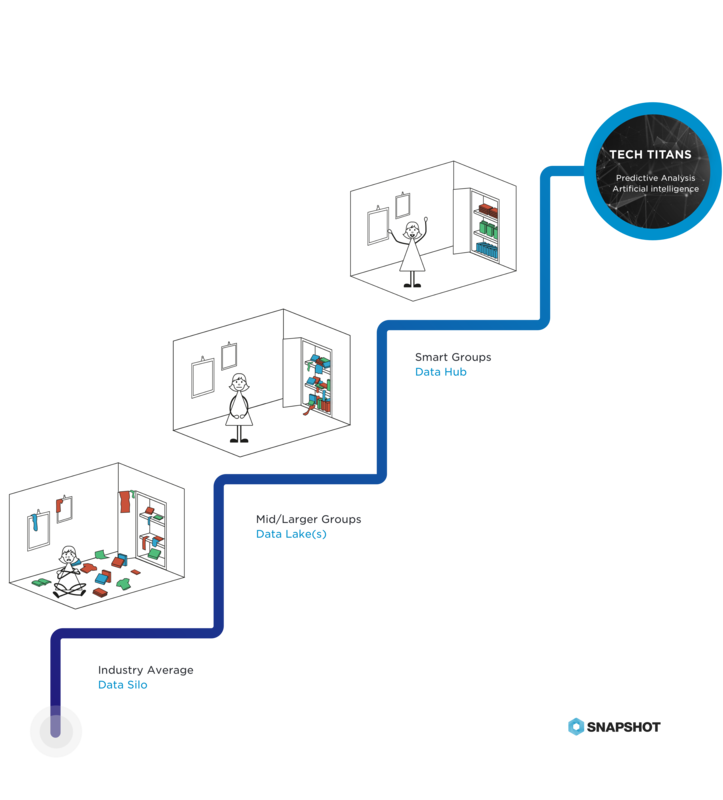 We also offer the ability to move, abstract, and build on top of your data with advanced analysis and data visualization. By incorporating a data hub into your data strategy, your hotel begins to open up to even more capabilities for next level data management, such as AI operations, machine learning, and predictive analytics. The tech titans don't stop there. All functions that are device-driven give an advantage to the device vendors who own the consumer’s actions when they own their device. Loyalty cards can be tracked by app vendors like iTravel, which can also offer incentives to use Apple Pay or Google Wallet and risk devaluation of the brand loyalty. Hotel brands that are among the industry average or semi-aware can resist the changes, but it will be futile and at a cost. Consumers are self-driving this trend and the tech titans know that. 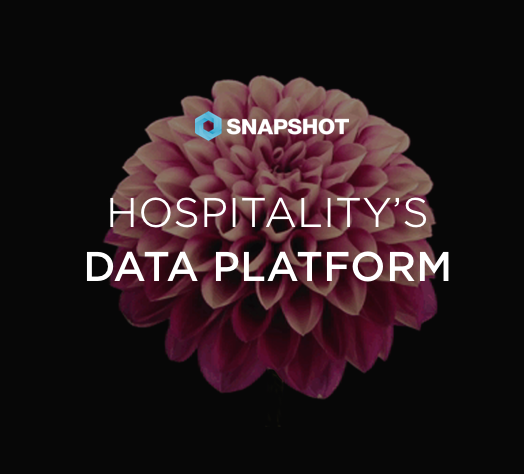 It's rare time that hospitality players realize the value of data and how it is driving the industry. It’s not as simple as purchasing new technology to accomplish predictive analysis. You can’t tell a child to clean up their room one time and expect a perfectly tidy room from then on - maintaining a data strategy is a hard work. By identifying the issue and navigating through all three stages from data silos to harmonized un/structured data, hotels can begin to achieve the same predictive analysis that other technology giants have. 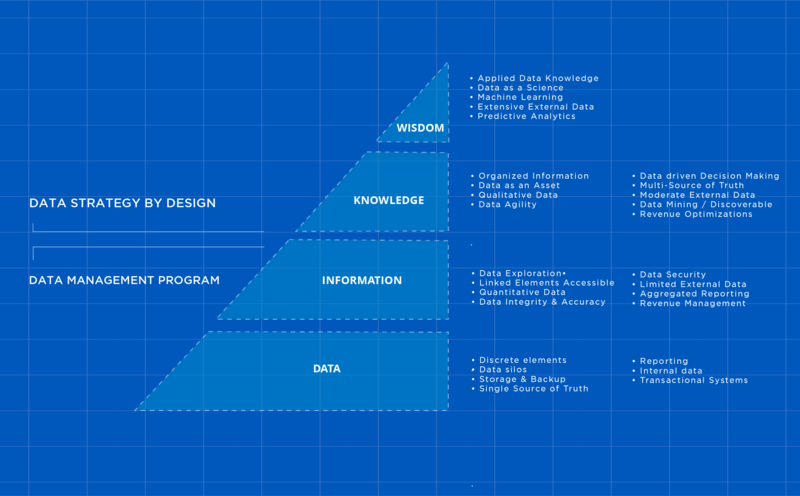 However, designing a data strategy is easier said than done. To begin with, a data management program needs to be put in place where the development, execution, and supervision of all plans and programs that will deliver, control, and enhance the value of data and information are managed.